Sometimes it’s easy to forget that not every game in the world is created in English, that there’s a rich world of board games, miniature games and roleplaying games outside of our snug little language comfort blanket. But there are games out there, games that are such huge hits in their native tongue that someone decides it’s time to bring them to the wider world. 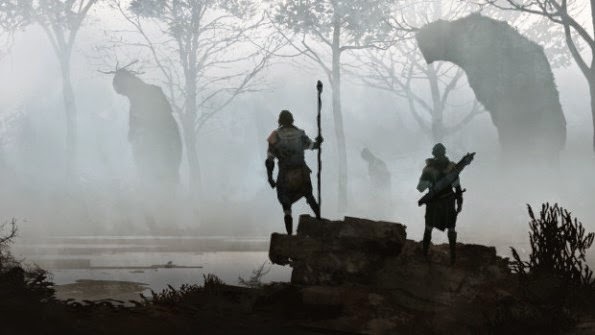 The roleplaying game Symbaroum is currently on this journey and the reason for the game’s translation comes from an unlikely place. Something felt right about the idea, that this was what Järnringen had set out to do since it was established back in 2001 but how do you take the broad idea of a fantasy RPG and turn it into a new and unique gaming system? Mattias’s strategy was to concentrate on the mood and the style of the game and then quickly moved onto the theme, which they decided early in the process would be the conflict between nature and civilization. As Matthia himself puts it “think Princesses Mononoke”. 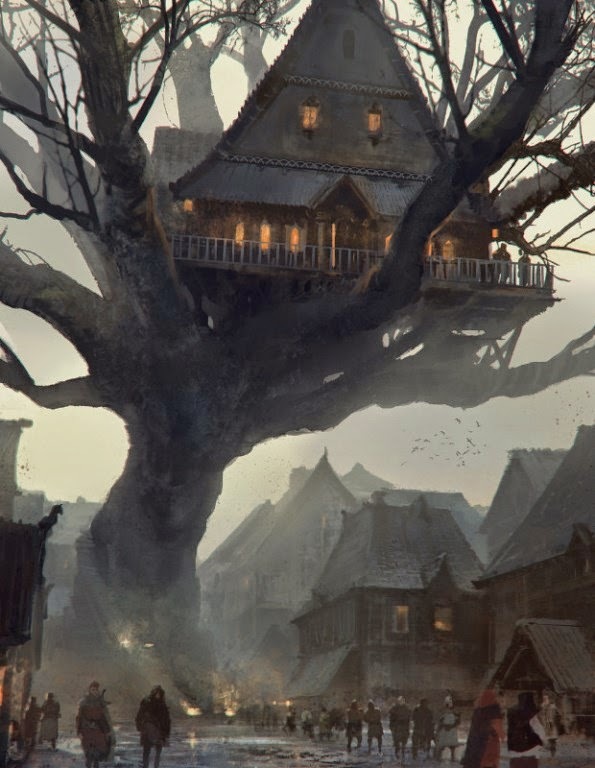 This theme is one of Symbaroum’s strongest draws as a first look at the amazing artwork evokes that this is what would happen if the world of Game of Thrones bordered on the lands of Dark Souls. 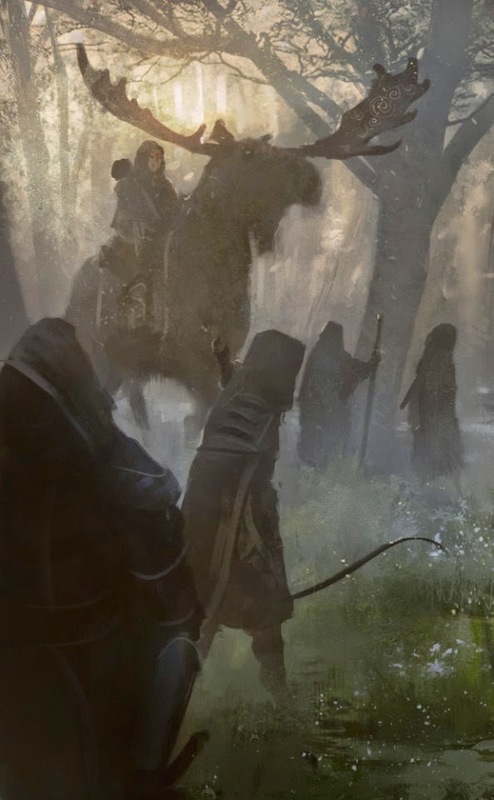 Even with the basics in place Symbaroum was still in its infancy. “With that trinity as a basis we developed the ruleset and setting simultaneously; giving and taking, scratching and adding, tweaking and arguing as we went along. Many long hours were spent on the Internet, looking for and discussing art, architecture and design.” And long hours they were, because it took over a year from the initial concept to the point where the team felt they could put pen to paper and start writing the game’s rules and setting. This year of effort has led to an RPG that hopes to create something unique and new by limiting the world but opening up character creation. The world wasn’t created from a geographical standpoint but a political one. As Matthias describes “the whole setting had been designed on the basis of contrasts, conflicts and relations rather than on single entities. Instead of saying ‘we want this cool city here, and that cool town over there’, we go ‘so, given that conflict, there should be this city characterized by A and that town representing B – why not place the city here and the town there?’” By making a world based on political and personal relationships the team have made a world designed to feel more real than those you’ve played before. The game Symbaroum is based around Queen Korinthia and her goal to create a city state for her people and take them away from the war and dark magic that has ravaged their homeland. She comes across the ruins of Lindaros and settles it as her people’s new home. Lindaros sits on the edge of Davokar, a dark, mysterious and dangerous forest. As the city of Lindaros grows its people move further into the forest, whether entering to obtain its natural resources or just explore. Not only are they finding that the forest is fighting, back but they are revealing that the forest floor hides something much darker. This conflict between civilisation and nature is the main theme behind Symbaroum centred on the city of Lindaros and the forest of Davokar but this limitation in setting doesn’t limit the player’s characters or choices. Players choose an archetype but can play the game how they wish. This archetype merely recommends a particular build for the character. Rules and narrative converge on the use of magic. 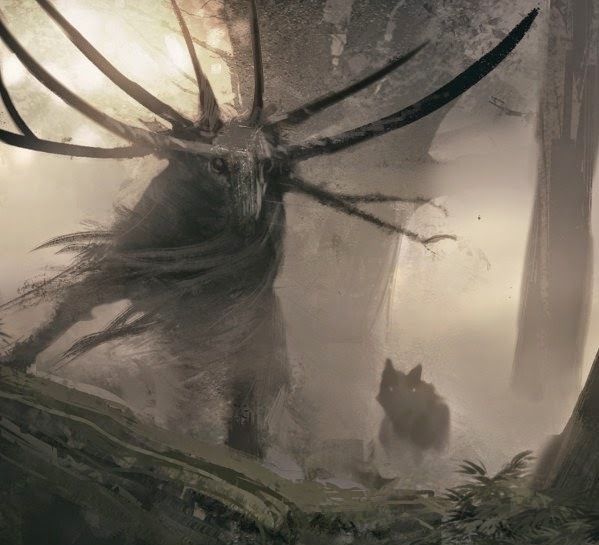 In Symbaroum magic is something to be feared; it is both very powerful and very dangerous. Whenever a character uses their mystical abilities they risk the chance of being spiritually corrupted. Again it ties back to the theme of nature versus civilisation and how man’s attempts to tame and control the natural world. Graphic designer Johan had worked hard on the release of the Swedish language version of Symbaroum and was very proud of his work, so proud he wanted to share it with the rest of the world. 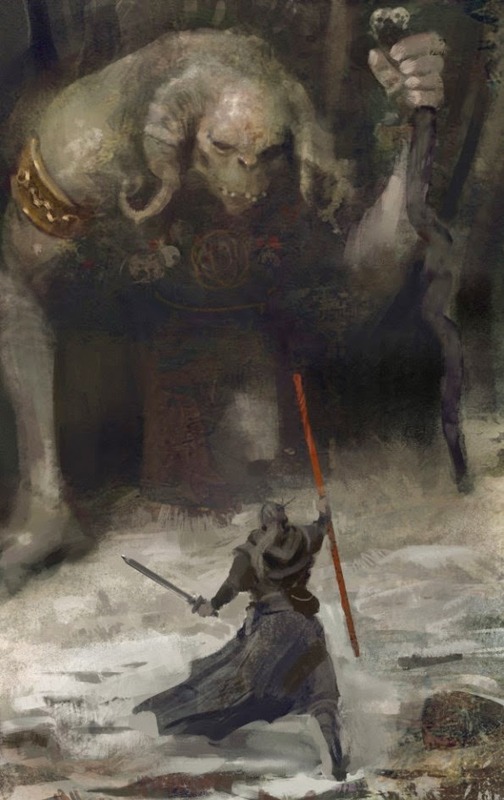 He decided that he would post some images of the final rulebook and his artwork on the rpg subforum of reddit on the very night Symbaroum was released in Sweden. However Johan wasn’t expecting the level of response he got back. It is now eight months since Johan posted the Swedish version of the rulebook on reddit and the wait for English speaking roleplayers to delve into the dark and wild world of Symbaroum is almost over, but why did it take so long to start the crowdfunding campaign that roleplaying game fans had been clamouring for? The simple answer is that Järnringen wanted to bring more than just the core rulebook into English, they wanted a series of books. Over the last few months Järnringen have launched the Chronicle of the Copper Crown in Sweden, a tutorial trilogy designed to introduce players and GMs to the setting and ruleset of Symbaroum, and have been hard at work on the first part of Throne of Thorns, a massive adventure campaign for the system. The question that gets asked often these days is why does a gaming company need to go to a funding platform like Indiegogo, especially one that already has a track record of developing RPGs and supplements? For Matthias the solution is simple, they need to pay professional translators and proofreaders to make the high quality product they want. “Sure, we could spend evenings and weekends working on the translation (as much as our families allow). But that would make the journey to the launch of the core rulebook very long. And that would be a shame, not least since gamers outside Scandinavia have begged us for a translation from the day Symbaroum released in Sweden”. “Since Kickstarter started up their Swedish branch the other year, all Swedish companies are directed to use kickstarter.se rather than kickstarter.com. We talked to some friends and colleagues who had experienced problems when launching international fundraisers on the se-domain.” Those problems are unfortunately easy to see. You may remember our interview with Tina Engström last year on Myling Games’ Privateers board game. The project ran on Kickstarter but was forced to run using Swedish Kronor as a currency. Confusion amongst backers and exchange rates forced Myling to cancel the project and have since been looking at a way of running a project in US dollars. After some investigation Indigogo seemed a much better deal for the Symbaroum team. And you can make that judgement for yourself as Symbaroum is currently running on Indiegogo and looking for funds. Is the fact that Symbaroum is on Indeigogo rather than Kickstarter enough to turn you away as a backer? Or is the opportunity to help convert this rich and novel roleplaying game into English enough? I would like to offer a warm thanks to Matthias Johnsson and Johan Nohr in taking the time to answer my questions. 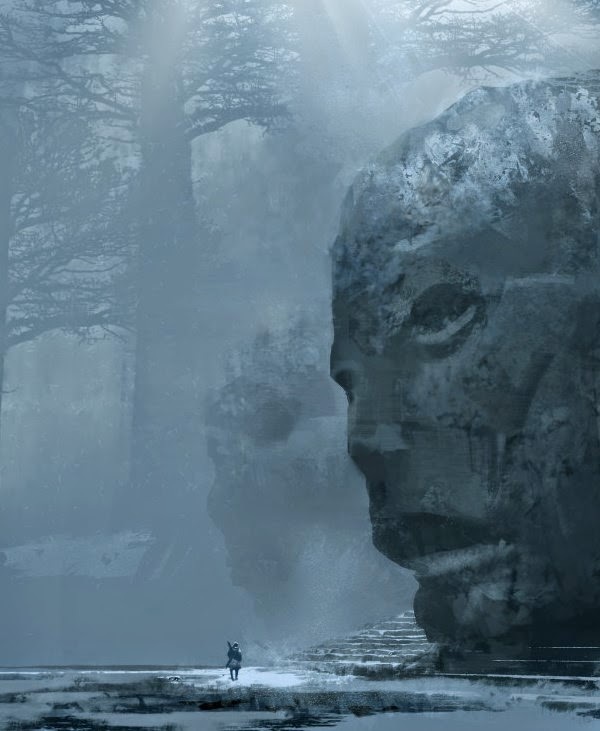 If Symbaroum looks like your kind of roleplaying game then head to their Indiegogo Campaign. Don’t forget that the Symbaroum core rulebook is being run under Indigogo’s flexible funding system. This means that Järnringen will get the funds raised even if they don’t meet their final goal.